This is where I publish my preliminary research notes and ideas concerning warfare in the Book of Mormon. This is a spot for civilians, military historians, members of the LDS church and anybody else who enjoys studying the military aspects of the Book of Mormon and its impact on the LDS Church, society and the field of military history. I have a B.A. from Southern Virginia University and an M.A. in History from Norwich University. I have presented or published papers on Napoleonic warfare, East Asian history, Book of Mormon warfare, and the American Civil War. In 2009 I separated from the military after serving 9 years as an infantry riflemen, squad leader and intelligence analyst. I am the author of “Forming the Formless: Sun-Tzu and the military logic of Ender Wiggins,” “Offensive Warfare in The Book of Mormon and a Defense of the Bush Doctrine,” and "The Battle Experience in the Book of Mormon." I have authored numerous articles for the Encyclopedias of Military Philosophy and Russia at War. My books Ancient Warfare in The Book of Mormon and Decisive Battles in Chinese History are now available. Currently I teach history at American Public University and several other schools. I studied in the MPhil/PhD War Studies Program at Kings College London. My political and military analysis can be found in Opslens magazine, Strategy and Tactics, Fox News, Strategy Bridge, Washington Examiner and other places. Greetings! I’m hard at work on a new project that examines classical Chinese theory beyond Sun-Tzu. As a result I’m reading all sorts of interesting things. I’ll post about that project at a future date, but for now I wanted to post from an author that actually made the same arguments I did in favor of preemptive war. Little is known about Master Shi, and like most classical texts there are significant questions about its construction and authorship. But Master Shi was a minister living around 330 BC in the middle of the Warring States Period when there was a robust debate between varying schools of thought. He is also one of the first syncretist, which means he consciously borrowed from different schools of thought to make a new text on political, military, and social matters. For example, the stress on timely swift action is borrowed from the Diplomatic school, and virtue is a key word that relates to Confucian moralism. The two ideas I found repeated are that its easy to solve a problem before they become big, and there is little thanks in doing so. I will quote the Shizi first and then material from my recent article on preemptive war. There is a bit of irony here as Shizi later quotes a passage from Mozi which condemns offensive warfare, but he provides an argument earlier in his text that perfectly defends it. Even a tree so big that it shields the sky was, at its beginning, only as thick as the base of a tree sprout: easy to get rid of. But once it has fully manifested itself, a hundred people using hatchets and axes are unable to fell it! When flames first arise, they are easily extinguished. But once it has gotten to the point where the Yunmeng and the Mengzhu swamp lands are aflame, then even with the help of the whole world ladling out the waters of the Jiang and Han rivers, one will still be unable to save the situation! The "beginnings of misfortunes" are like flames and tree sprouts: easy to stop. But then they are neglected and become great matters, then even worthies like Kong Zi [Confucius] and Mozi will be unable to save the situation! When a house burns and someone saves it, then we know their virtue. But the elderly who daub chimney cracks to guard against fire, thereby living their whole lives without the misfortune of stray flames causing a fire: their virtue remains unknown! When they enter a jail or prison to relive one who has suffered difficulty [by bailing him out], then his relatives are held to be acting virtuously toward him. But those who would teach him with goodness, propriety, parental love, and sibling concern so that his whole life will be without such difficulty: no one considers this to be virtue! The next quote is from my article on preemptive war. I have already previewed the scriptures I use to make this concluding argument. Here I put the Nephite discussion of preemptive war in a historical context and explain why it is seen as a good thing to attack sooner instead of later and before problems become more expensive to fight, and mention why it’s hard to get credit for it. The chief historical reason for a preemptive attack is the attacker’s belief that preemption now is better than facing worse consequences later. The Japanese war machine in World War II only had a few months of oil left because of American embargoes. They felt that a surprise attack on America would stun them long enough for Japan to seize their prosperity sphere, especially the oil fields in Java. A preemptive attack immediately for them was better than waiting. The Germans in World War I faced enemies on every side, but they believed they could quickly defeat France and then be ready for Russia by the time their slower, Eastern foe had fully mobilized. They needed a quick strike through a neutral country to do so. 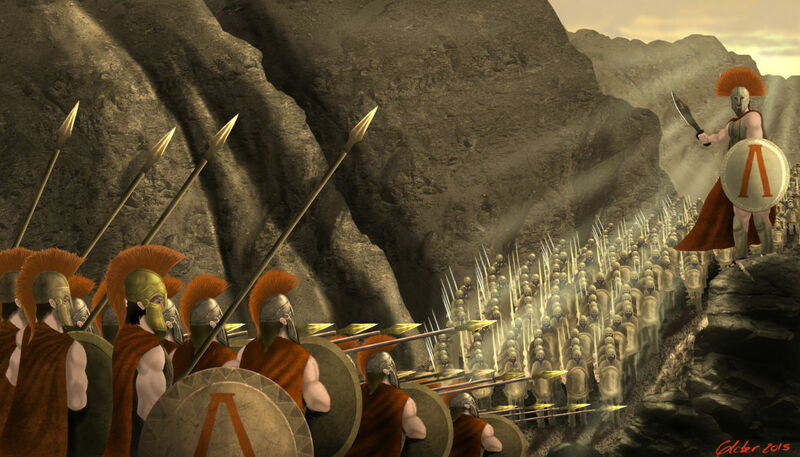 Epaminondas and the 3rd century Thebans faced yearly invasions from Sparta. He thought they should launch a surprise attack to permanently remove the devastating attacks on their homeland, weaken Sparta, and alter the balance of power. Thanks for reading. I work as a free lance author so if you found value in this work please consider donating using the paypal button at the bottom of the page. Its always exciting to find that the Book of Mormon is engaging the same ideas wrestled with by ancient societies, and its pleasing to get confirmation, in stunning fashion, of ideas that I’ve already stated. Who do you think said it better? The texts of this age usually involve debates between one of three categories: Wholly authentic, some kind of core piece that was added to in later centuries by followers, or a forgery. The central category is usually the most held position with modern translators trying to date the text using various clues similar to the Documentary Hypothesis in Biblical studies. Shizi: China’s First Syncretist, Paul Fischer trans., (Columbia University Press, 2012,) 67-68. Morgan Deane, Offensive Warfare in the Book of Mormon and a Defense of the Bush Doctrine,” in War and Peace in Our Times: Mormon Perspectives, (Salt Lake City: Greg Kofford Books, 2012), 38. See Matt Flynn, First Strike: Preemptive Wars in Modern History (New York: Routledge Press, 2008), for more. Victor David Hanson, “Epaminondas the Theban and the Doctrine of Preemptive War,” in Makers of Ancient Strategy Victor David Hanson ed., (Princeton: Princeton University Press, 2010), 93-118.